« Colouring Natural Composition D.S.P. I think I’m actually getting this vintagey thing! 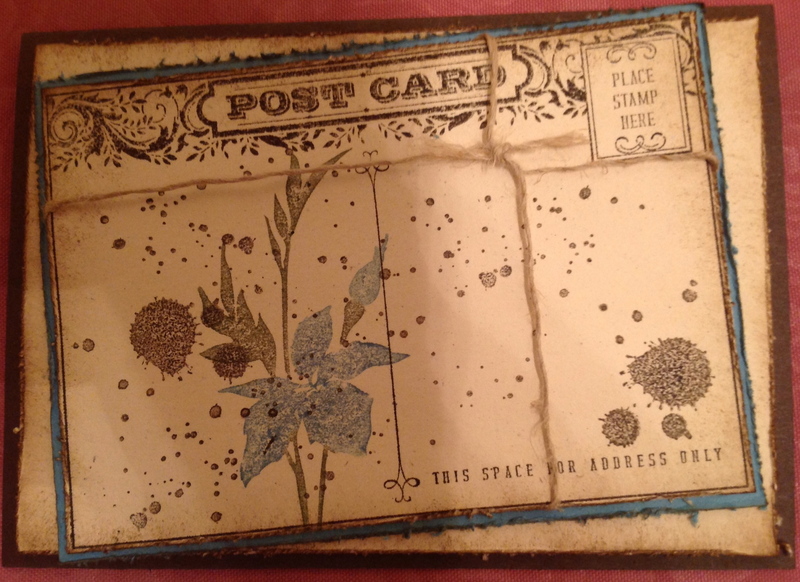 I love postcards and I love postacard stamps. SU had one in a stamp set called ‘Winter Post’ some years ago. When it retired I wept for weeks. Well they have seen the light and released another Postcard background stamp. Oh how I love it! Ensure you come on back and visit because I have all sorts of plans for this stamp. It’s just gorgeous and soooo versatile. Until next time be kind and above all stay true to yourself. Ah…Jackie…..You HAVE that vintage thing….magnificent…Claire D would love it! !